super cute! 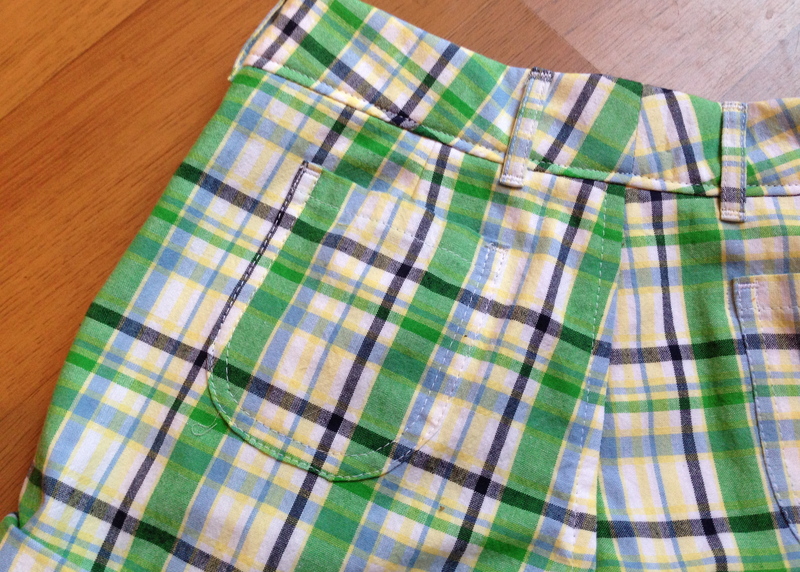 i’m always super impressed by pattern matching on pockets, how do you do that? thanks! 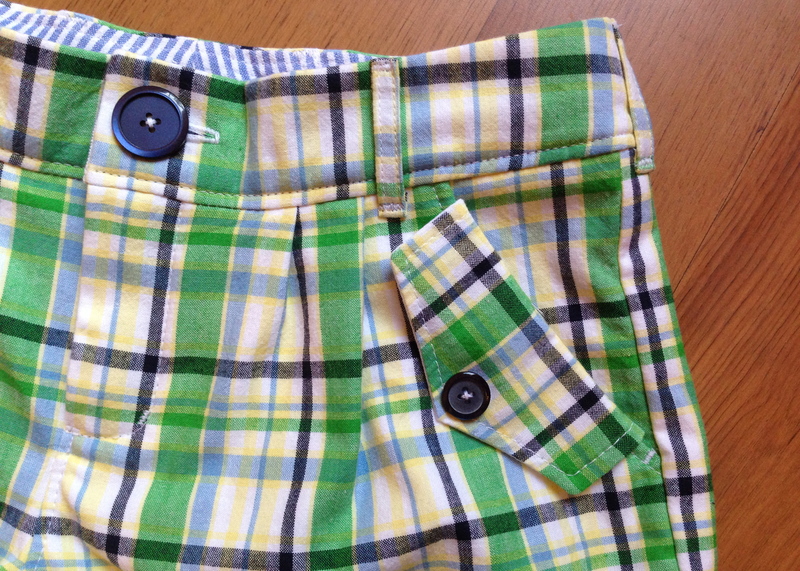 the plaid matching on pockets is deceptively easy… i mark where the pocket is supposed to go then mark on my pocket pattern piece a dominant vertical and horizontal line, then cut my pocket accordingly. couldn’t be easier! Those are adorable! And yet again, I’m bowing down to your plaid-matching AND fabric using-up skillz! Can’t wait to see that tutorial! And congrats on your win over at Sunni’s!! I was so happy it was you who won it! thanks! ohemgee… couldn’t believe i won! so looking forward to watching the class! 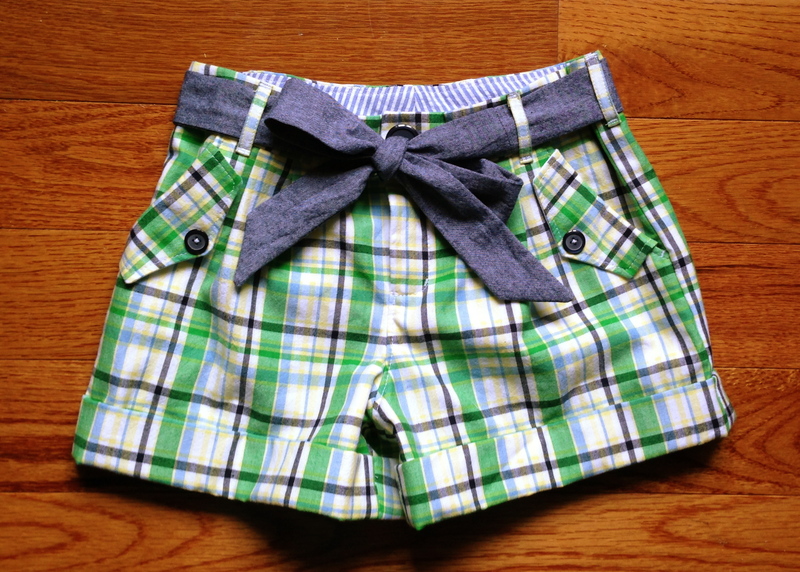 These are stunning shorts. And cute too. You managed the lines really well. the chambray belt was a lucky coincidence! i made it as a sash for the first communion lace dress from a while back (and shortened the hemline by several inches) and it just happened to go with these shorts too. love it when that happens! Very, very cute- especially with the sash! Gorgeous! They look so well proportioned in the first photo – I can’t imagine them longer and higher! Love the fabric of course – such a great colour-combo. Underlining in muslin was a great idea, too. I just don’t understand why patterns don’t include basics like the fly shield and what not. I know we like fast results, but I would like to think the majority of peeps who sew want to take the time to make it look its best. Ah well! thanks! i didn’t get a good pic with her wearing them, but they would have looked a bit off without those changes. i really can’t understand either why patterns leave off those bits. having the facing/shield doesn’t make the fly any more difficult to construct! plus it looks way better in the end. baffling! i just added a “tips and tutorials” page (link up top) and my fly tutorial is there. i haven’t had a chance to show how to draft all those extra bits yet (fly facing and shield), but i do plan to eventually!